Intertex Melton Wool Casting Jacket offers good thermal protection from molten aluminum & radiant heat sources. 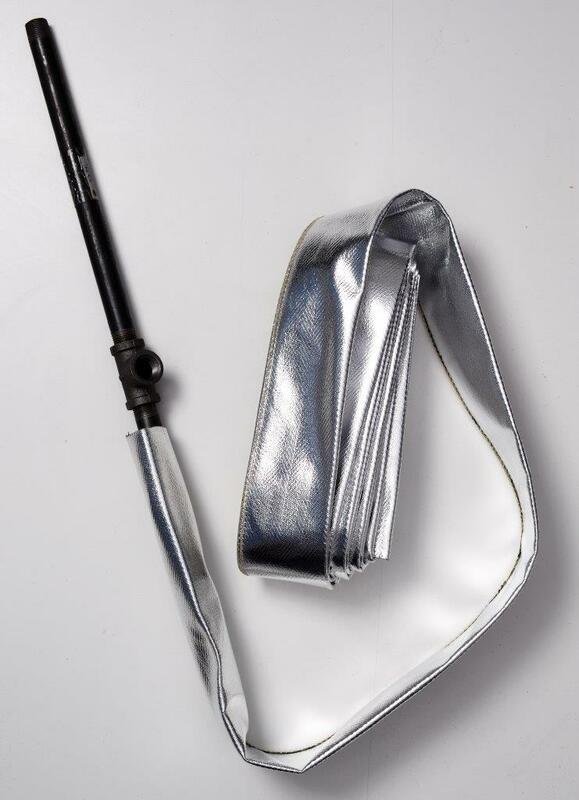 Aluminized forearms offers heat reflective protection in key heat stress areas, and the reflective strip offers additional high-visibility of personnel. Jackets come standard with FR Velcro® front closure. Sizes available S, M,L, XL, 2XL, 3XL. 30″ Length. 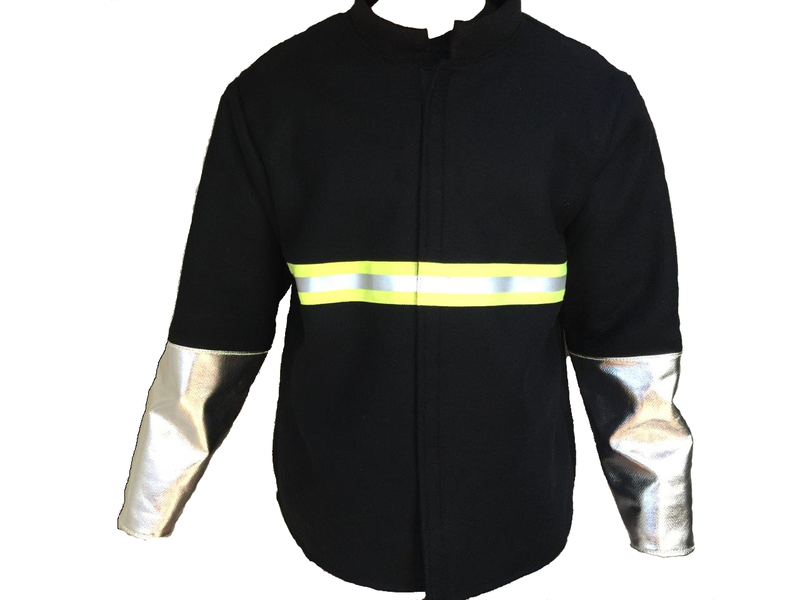 Designed for secondary protection against molten aluminum. 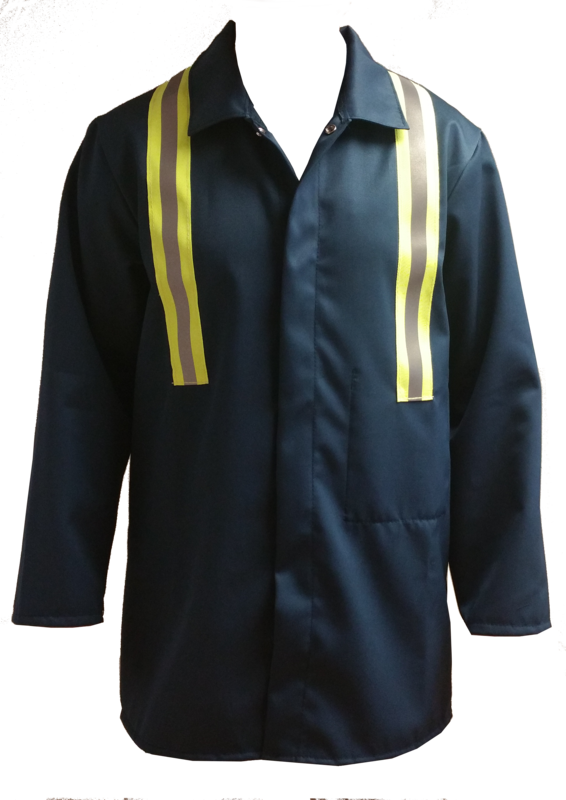 35” standard length, High visibility reflective chest and back banding, dome snap or FR Velcro™ front closure. Sizes S-3XL. Available colours include Navy Blue & Hi Viz Orange. Our custom fabricated aluminized cable sleeving is designed to protect wires, cables & gas lines from heat sources, molten metal exposure/splash, and other hazards such as steam and chemical exposure. Our aluminized cable sleeving is also sold with or without Velcro™ closure, and can be manufactured to fit customized sizes, diameters and lengths. Common materials include Aluminized Carbon Kevlar™, Silicone Coated Kevlar™, & Silicone Coated Fiberglass.